Kenwood NX820 is the latest digital trunk radio model launched in the Malaysia market. Because of the highly remarkable Kenwood TK480 analog trunk radio, Kenwood trunk radio also gain a substantial market share under the competition of Motorola and Hytera. WOKI Talk is one of the dealer for Kenwood trunk radio in Malaysia, we would like to share with our reader about the review of Kenwood NX820. At the end of the article, we will also stated the price range so that our reader could make the own judgement. 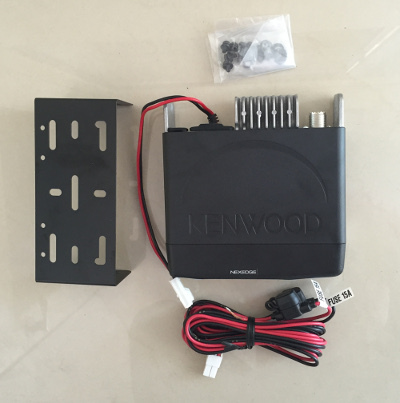 Kenwood NX820 is a mobile unit which should be installed in vehicle. Below is the basic specification for Kenwood NX820. The set is also comes with 2 years warranty for tranduser defect. 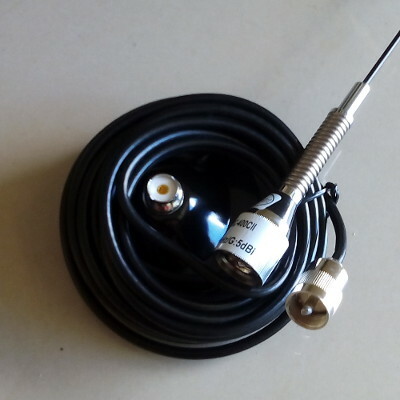 For antenna and hand microphone, the warranty are only 6 months. Kenwood mobile unit comes in a simple appearance design perhaps it is very similar to TK480. The display is always simple yet ease to read even you are driving. User could adjust the 2 volume button, located at the left side, even during the driving stage. The change talk group button is located at the right hand side. User could switch to respective channel even there is no signal connection. This is very good function to WOKI Talk as we could easily assess the talk group in that particular trunk radio. Underneath is a row of functioning button which normally we do not recommend our user to explore. No doubt Kenwood NX820 is a reliable digital trunk radio during our application, there are some areas which need our user attention. The radio unable turn on. We always offer a competitive price for our fellow user in Malaysia. The selling price for a brand new set of Kenwood NX820 falls at RM1600 per set. However the price may fluctuate from time to time without further notice but you are always welcome to check with WOKI TALK before your purchase. Hopefully the above itemize briefing and review is able to give you a better understanding about Kenwood NX820. The pricing stated in this article should make this review even better. Or you could even checkout WOKI Talk e-shop for our detail accessories and price list. Please feel free take up your phone or contact WOKI Talk to know about about Kenwood NX820 and price.